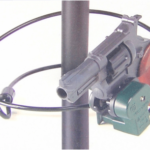 Our NG-910 Dual Protection Wall-Mounted Gun Lock is a patented system unique to Noble Guard. Designed to provide easy access to your firearm with uncompromising safety & theft protection, the NG-910 is in a class of its own. 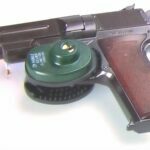 The system can be mounted to any wall or hard surface that accepts bolts and comes in two sections which can be installed to fit almost any firearm. 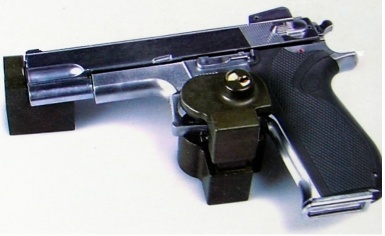 The system locks your gun’s trigger and blocks its barrel, while securing your gun at both points. Installation is easy & intuitive and unlocking the system couldn’t be simpler. Just insert the key, and with a flick of the wrist the trigger lock is disengaged. Then, simply slide the gun out of the barrel guard while holding its handle and your firearm is ready in seconds. Love to show off my rifles and this wall mount is perfect now that I have young ones around. Great product!